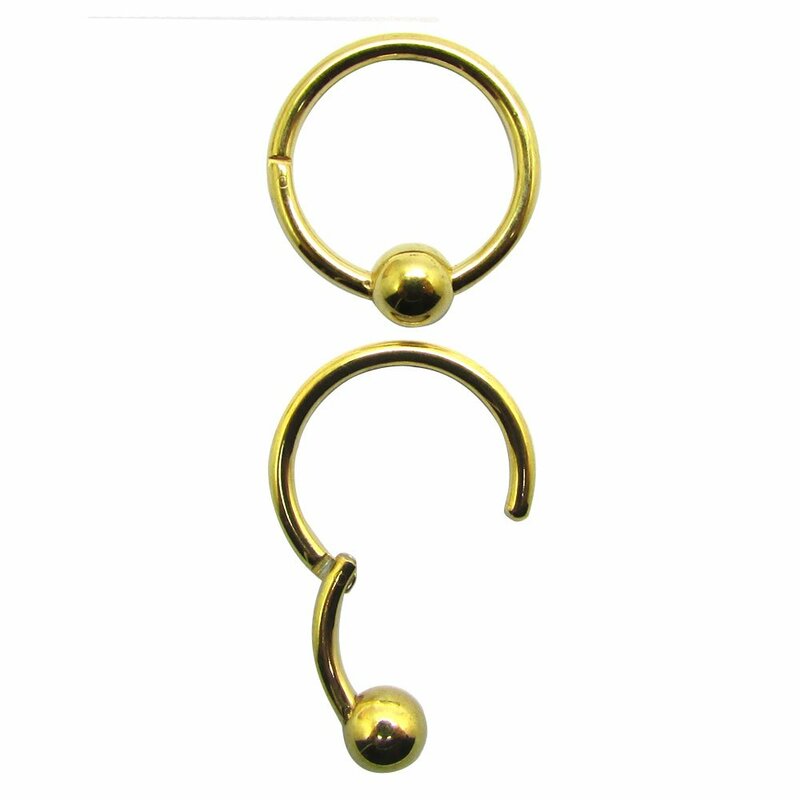 Improved hinged clicked captive bead ring,Carefree CBR, No pliers or professionals needed,Easy to wear, no more irritated by the ball! 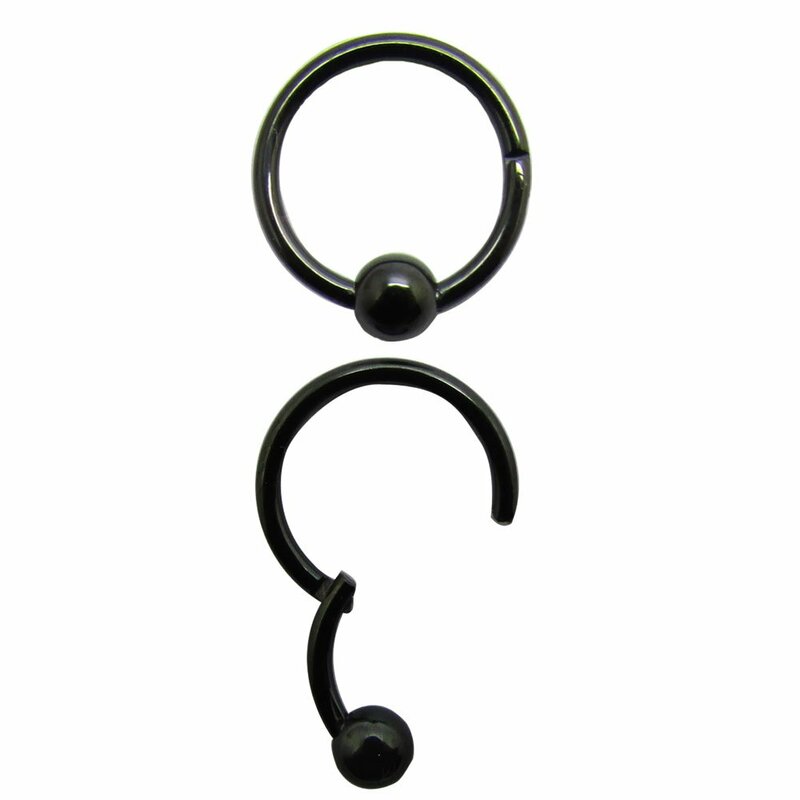 Larger opening distance.If you have difficulty putting in CBRs, this clicker ring is perfect! It's a lot less of a hassle to put in and take out than a real CBR! 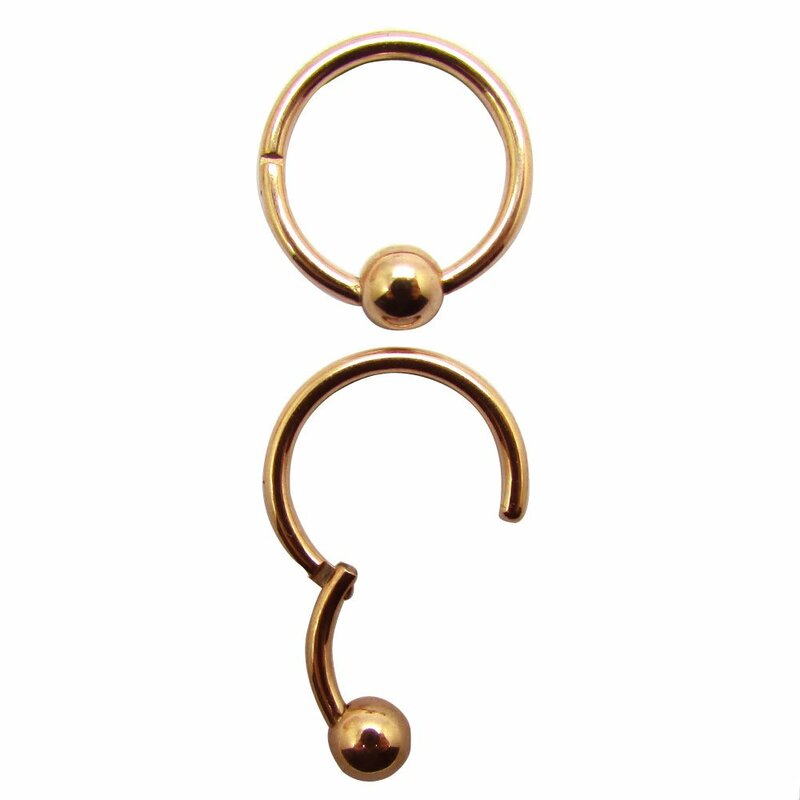 I had a captive bead hoop for my tragus piercing for 15 years. I lost the bead and tried to replace it. Well the new ones I found were all near impossible to get in and out. 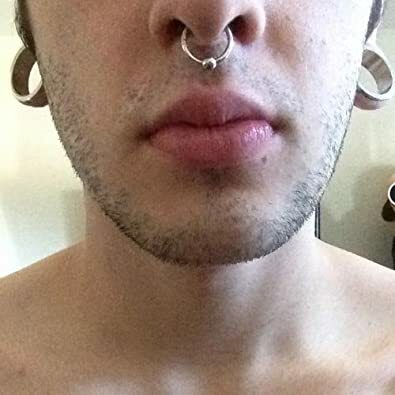 I went through other hinged hoops, too, that didn't close properly and I even tried screw post nose rings. Meh. This right here is a miracle! I thought I was going to have to let my piercing close. This saved it. Good quality, sturdy, looks nice, easy to use. I'm actually realizing as I type this that I should buy a spare! Just what i needed. It fits perfectly and looks great on. I bought this eating for my Tragus piercing. When I looked through the reviews I didn't see any other comments for Tragus piercings, but let me tell you that the 8mm works great! I love the fact that I do not have to go to a professional piercer anytime I need to take my jewelery out/in! This is awesome!!! 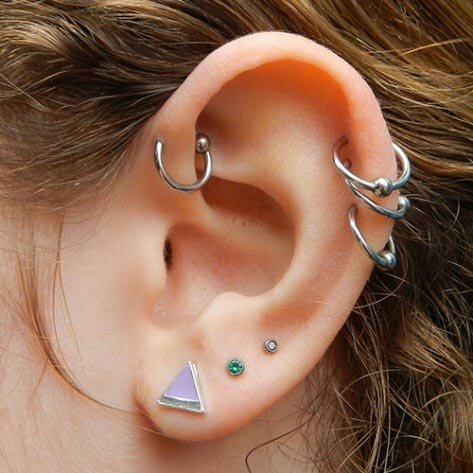 I have been looking for something exactly like this ever since I got my first upper ear piercing, and upon finding, ordering, and using these rings, I have not been disappointedu2014in fact, far from it! 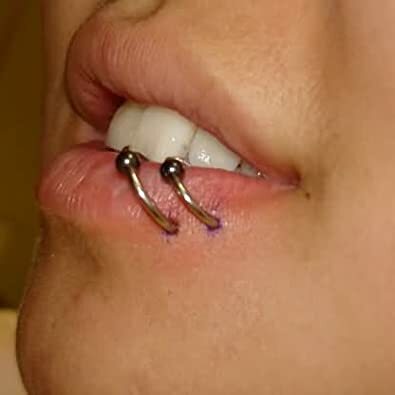 It would take me what felt like all afternoon to snap the little ball into place on my old CBR rings, and that isn't even mentioning how red and sore my ear would be afterwards. These take seconds to put in and take out with no pain or irritation. My only request is for more sizes (both gauge and diameter) to be made available! I ordered two of these at separate times for my snakebites. These are SO easy to put in and as a whole very easy to work with. 10/10 would definitely recommend. However, if you will need more than one, I'd suggest ordering them together. Maybe then you'll get the same color. Unless you're like me and love having two different ones. All in all, the quality seems good, the shipping was fast, and they are SO much easier to use compared to the ball capture hoops-- so I guess it's worth the money! I just wish they were sold as pairs. I'm very impressed with this. With the showers I've taken so far, and as much as I play with it, no paint chips or tarnishing. 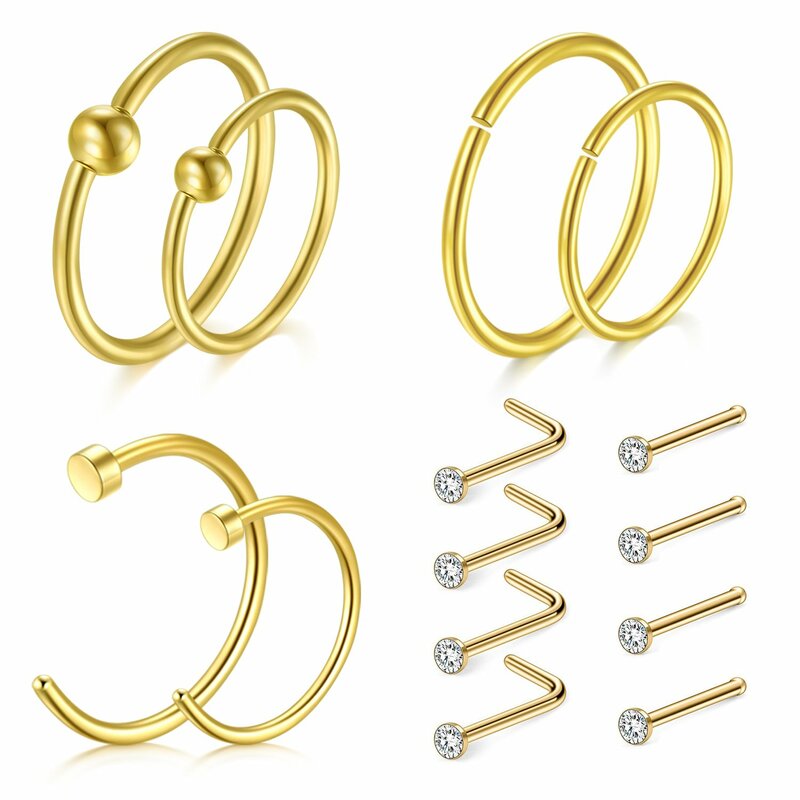 I love captive hoops but I CANNOT ever get the ball back in when I remove them, so this is the perfect solution. I had to look in the mirror to close it once it was in my nose because you have to line up the hinge correctly, but it wasn't an issue for me at all. It doesn't have any rough seams or clasp so it is comfortable.. 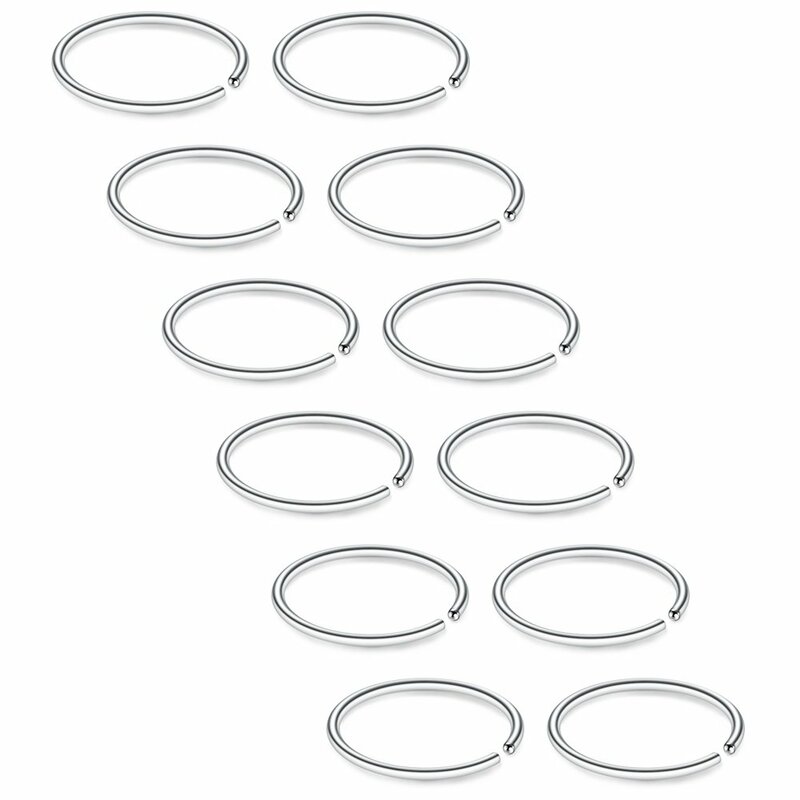 Easiest septum jewelry I've had, would absolutely recommend.